Adelphi attended the PPMA Group Industry Awards at The National Motorcycle Museum in Birmingham recently. We were very pleased to be nominated for ‘Most Innovative Processing & Packaging Machine’ at the event alongside 12 other shortlisted entries, for the newly launched System F-1800 automatic liquid filler. Just missing out on the title, we were still proud to receive a ‘highly commended’ runner up recognition. 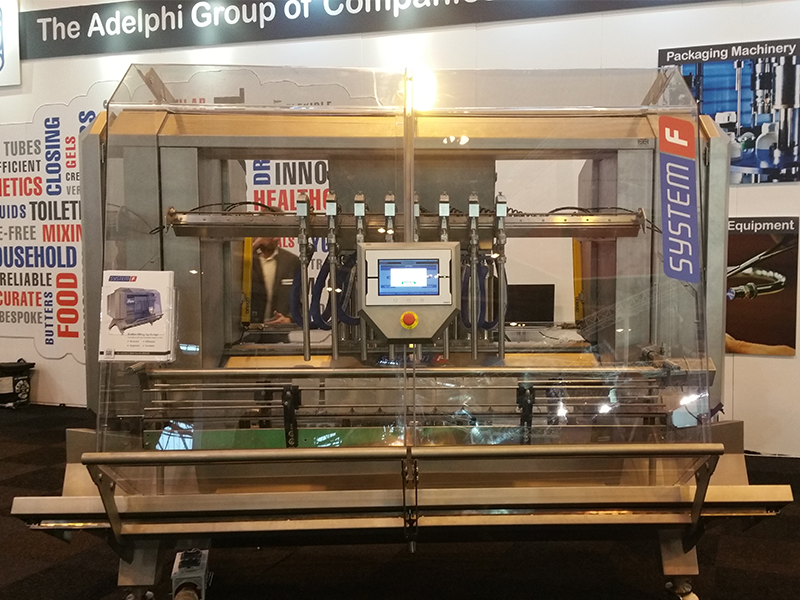 The awards were attended by 12 Adelphi employees and followed on from the first day of the PPMA Total Show held at the NEC, where System F-1800 was officially launched into the market. Well done to all involved in the creation of this innovative new machine. For further information on System F-1800, click here to read our full product brochure.